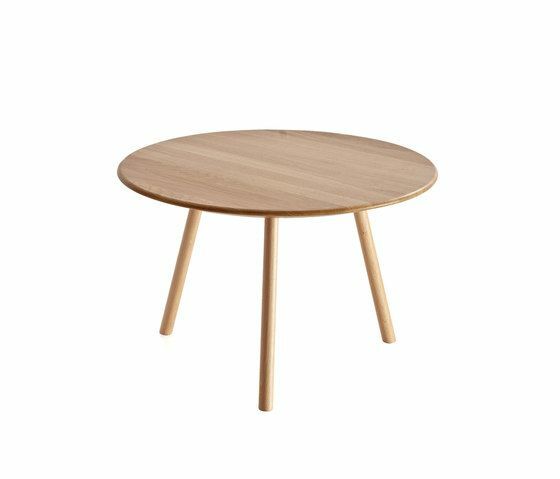 Rund is a family of three side tables which can be used of independent form or in group, creating different compositions thanks to his sizes and heights. We have looked for the maximum formal simplicity to eliminate everything superfluous and to centre on a few lines that grant a great visual sensitivity to them. This apparent fragility contrasts with the resistance that they possess thanks to the constructive used solutions. We can find them with ended in finish natural wood or lacquer in different colors. Materials – Hard wooden ash structure. – Possibility of finishes in natural, Wenge, walnut, cherry, white.